A couple weeks ago I was given the opportunity to review and giveaway the Sony W Series Walkman® MP3 Player. The entries have closed and the winner has been chosen via random.org. Thank you everyone for stopping by, reading my review, and entering the giveaway. I also want to thank everyone who stopped by my Facebook Fanpage, followed me on Twitter, and subscribed to my blog while here. Les, please contact me at info@262quest.com with your shipping information. If I do not hear back from Les by June 5th I will pick a new winner. 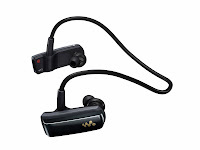 Just in case you are running one of the marathons in the Rock ‘n’ Roll Marathon Series it may be cool to know that the Sony W Series Walkman® MP3 Player is the Official Digital Music Player of the marathon series.